Pilot Ellie Fox squeaks out a living smuggling drugs and other valuables across the US/Canadian border in her ultralight airplane. Money starts to get tight, so she follows her boyfriend Max on one of his crazy schemes to steal a priceless painting. When the heist goes wrong, Ellie and Max find themselves in the cross-hair sights of Kendo Hashimoto, a cruel Japanese crime lord. 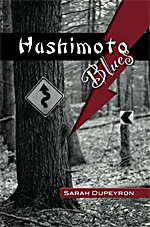 On the run for their lives, Ellie must use her wits and courage to turn the tables on Hashimoto. 3 bookstore reviews factored in.